When I do give in to temptation (or, more accurately, when sale season begins), these "Vanish" ankle boots will be mine. 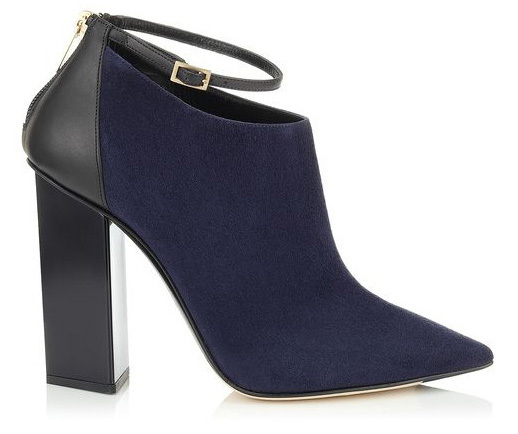 That geometric heel reminds me of Céline's gorgeous spring collection, and the combination of navy suede and black leather is just so damn chic. Plus, I tried these on in the Tannery last week just to torture myself, and they look and feel amazing. Oh, by the way, my birthday's in October, and I'm a size 35 (wink, wink). 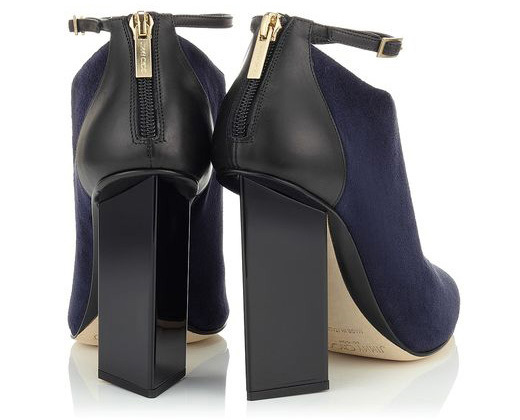 Ahh love this bootie; the ankle strap, the color. Add it to the wishlist! I can't do pointy toes but I LOVE that chunky heel!